Gimbal Desk Alarm Clock The Gimbal Clock is the perfect executive gift and a classic design.The clock is available in a brushed aluminum color with a white face with clean sleek numbering (plastic body). 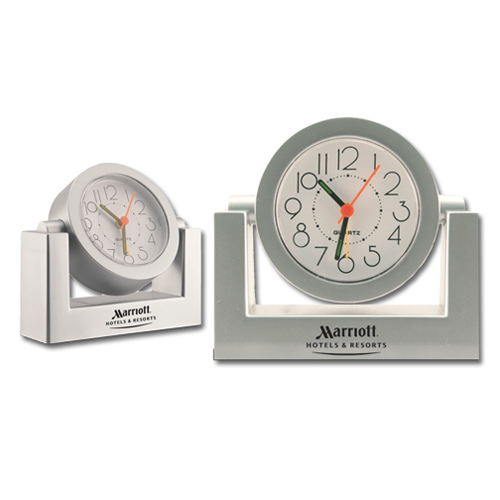 The clock is adjustable with a swivel face, quartz movement and an alarm. 1 AA battery included. Individual Tuck Box / 38 lbs / 100 pcs.